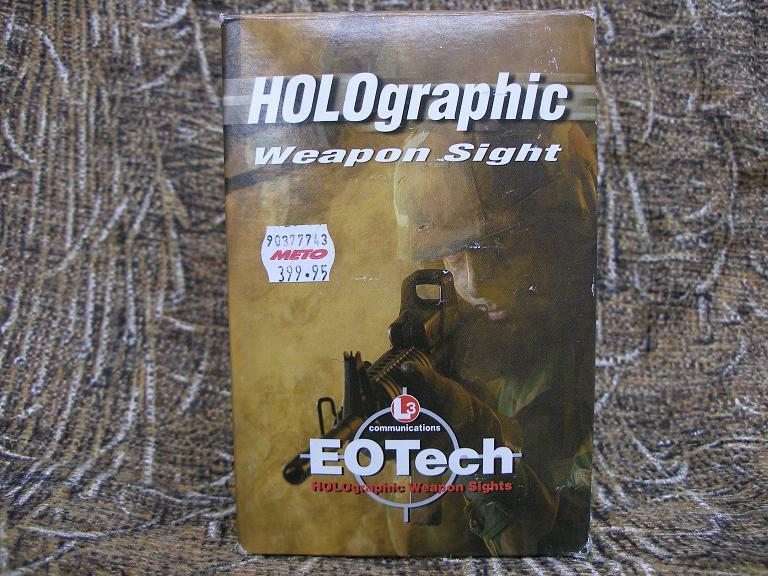 This is a new-in-the-box EoTec Model 512 Holographic Sight which offers an all weather sighting system that operates on two standard AA batteries. 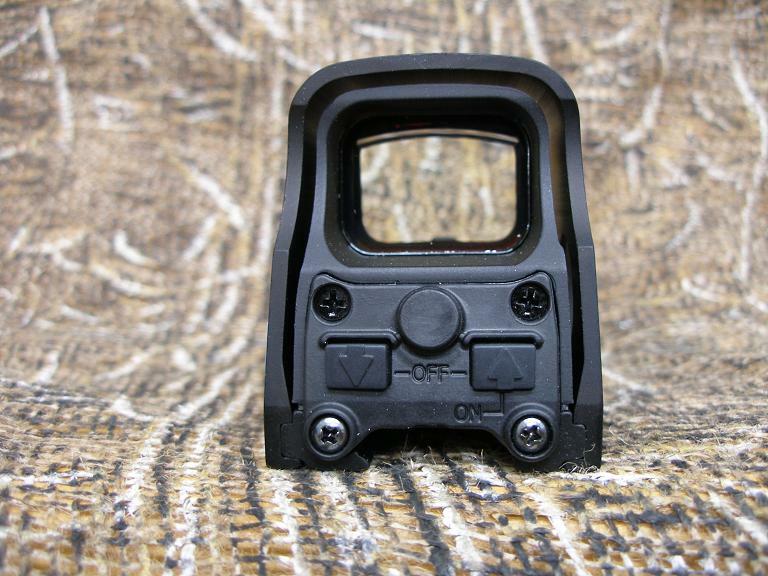 This model features a dot-within-a-circle variable-intensity reticle that presents a see through pattern for extremely quick target acquisition. The electronics are encapsulated in a shock absorbing resin compound and sealed against dirt and water. 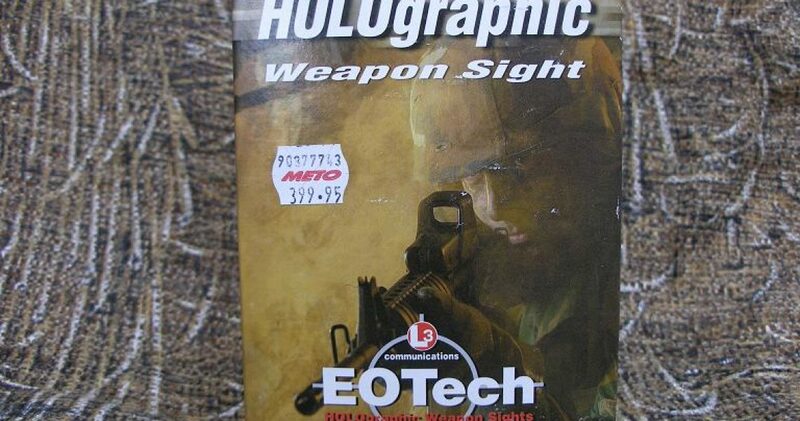 The shatterproof lens has an anti-reflective coating and the light signature of the reticle is not visible from the front. 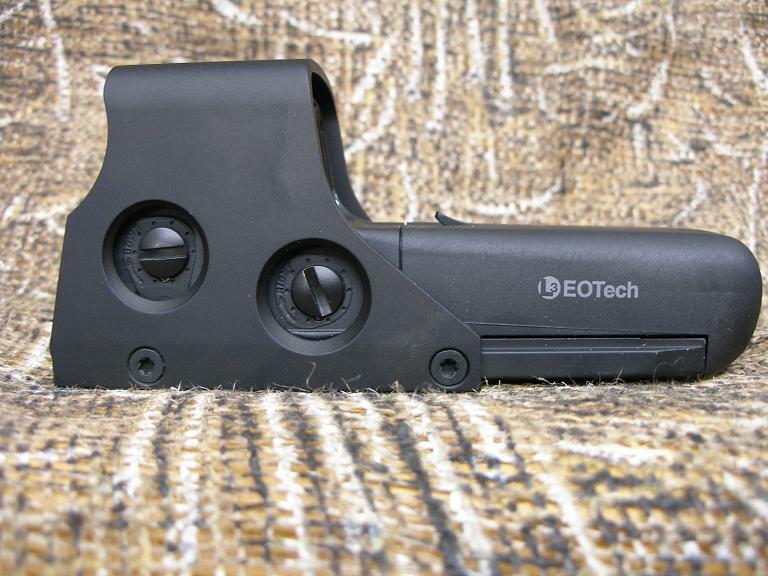 All user controls are flush with the housing with no protruding knobs or mounting rings to snag or block vision. The integral mount fits Weaver-style and Picatinny bases. We accept certified bank checks or USPS money orders. Credit cards (except AMEX) are also welcome but please add 3% for the cash discount that cannot be earned when paying with a card. Shipping and insurance will be $15.00 in the Lower 48. 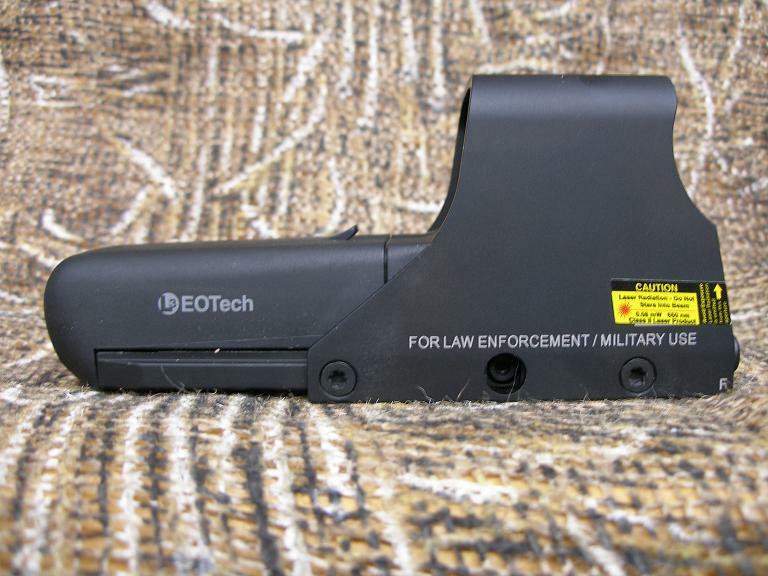 If you have any questions regarding this item please call us at 208-843-2419 or send an inquiry about this listing.